We are three days away from greeting 2014. Was your 2013 a good year? Are there any regrets? Any answered and unanswered prayers? Is there any unfulfilled wish or checklist? If there are, you can use them as a guidance while planning for the new year. All of us are the servants of Christ and we have missions and works to carry on while we live in this world. God commands us to be diligent, faithful, and hard working while he blesses us to prosper, multiple, and dominate. Therefore we need to be on a constant guard to push ourselves and work hard to glorify God’s name. I want to share the words of advice from Rev. Goshen Choi, who is often mentioned in our blog posts and who is a president of NYSKC World Mission Center, while we make reflections and preparations for the new year. Based on the Word of [1 Corinthians 15:58], there are twelve pieces of advice that we can learn and use for our the new year’s resolution. These advice would greatly help us while we sought to live as the servants and workers for Christ. 1) Grow a habit of taking notes of our plans. Always take notes of your plans and thoughts. Having a habit of recording things is very important and helpful to organizing your life. If you are in prayer and God has given you His message, or while you are listening to a sermon and you get great ideas for your future, take them down on a piece of a paper or record it on an electronic device. 2) In order to begin your work, deconstruct the “big picture” to “smaller pieces”. You are given a job but where do you begin it? Having a big picture of your job is great, but you need to deconstruct the picture to smaller pieces so that you can have plans for immediate actions. You need to turn your dream or job into manageable plans for actions. 3) Know how to start. Knowing how to begin your work is important. Decide on what you will do to start your work. What would be the first step of fulfilling your task? 4) Check on the progress. Having a check point to see if the work is progressing well is crucial. 5) Distinguish between what you cannot do and what you do not want to do. If it is something you cannot do, then grow strong so you can do it. If it is something you do not want to do, know that persevering through hardship and unwanted task will make you grow and mature. 6) Remind yourself of the benefits of the result. Thinking about how the result of the work will benefit you at the end would provide motivation and passion for the hard work that you are enduring. 9) Make a workable environment. Create a working environment that helps you focus on your work. 10) Avoid places of distraction. Stay away from places or things that can distract your concentration. 11) Know the time of the day when your working energy(biorhythm) is at its best. There are two kinds: morning kind or evening kind. Jesus and many workers such as Paul and Peter were all morning people who worked from the early morning. This is a long list but I hope you find them useful while you make new year’s resolutions and plans in Christ. I pray your new year be filled with God’s guidance, blessings, and graces. How Do You Want to End 2013? How many times did you want to quit your job and just slam the resignation letter on your boss’s desk? How many times did you want to just walk out from the trouble and wish you were gone? It is always easy to quit and end something. However, when it comes to “completing” something, we need to think over and be more conscious. Even if your start wasn’t so great, if you completed it beautifully, then it becomes a meaningful “event” in your life and you earn a priceless lesson from it. Therefore, you can make a difference in your life by completing things well. We are heading towards the end of the year and autumn is here (the season of harvest)! When we reflect back to the resolutions we made in the New Year, we will ask ourselves: how many of the resolutions did we keep? We make resolutions and begin the New Year with big expectation and excitement. However, reflecting back at last ten months, there were times when I forgot about the decisions I made and just followed my old habits. So, I asked myself today: Am I going to end 2013 like this? The Bible also advised us about the importance of completing things well. Also, in the Bible, we see a lot of characters that started on the right path, however, unfortunately, become a bad example in the Bible, just because he/she ended up in wrong path, by going against God’s will. The first king of Israel, Saul, is one of them. All Israelites wanted him to become the king and God anointed him as the first king of Israel. He begins as an ideal choice to lead and judge Israel. When he followed the word of Samuel, the prophet of God, he led the army to victory against foreign countries. He becomes conceited after a number of victories and loved being glorified by his people. As a result, he led the worship without presences of Samuel, and listened and trusted the words of fortunetellers. In the end, he was defeated in the battle and committed suicide by falling on his sword. Only two months left till 2014! How do you want to complete 2013? It can be determined by how you spend the last two months of the year. 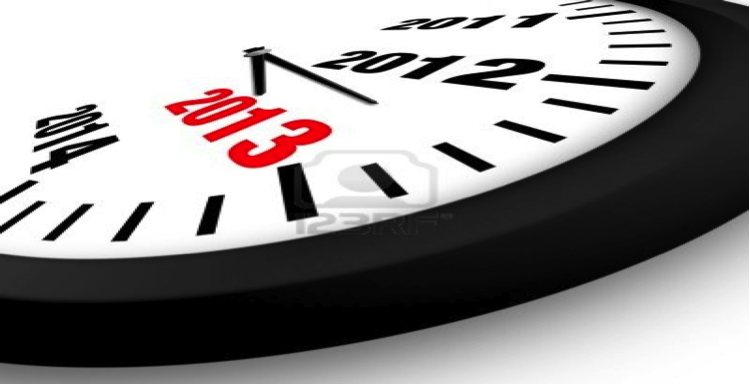 2013 is here. To fancy wrap the past year, I opted to rely on Yahoo’s wonderful briefing of what was buzzing around the world in 2012. This year has seen social media become a vital part of world events. Facebook went public, but expectations did not meet reality and share prices fell. The Middle East erupted into wave of revolution fuelled by social media activists. Tunisia’s dictator Zine El Abidine Ben Ali was ousted after a protest organised via Facebook, leading the way to the Arab Spring uprising. Despite this, the London Olympics went on to put up the most spectacular show and where Michael Phelps ended his Olympic career. The Queen had some fun parachuting her way into the Olympics way before Felix Baumgartner set a world record with his free fall jump from the edge of space. In the U.S., president Barack Obama was re-elected in the country’s most expensive presidential campaign. Hurricane Sandy left a trail of devastation and over USD$20 billion of damages. In Asia, South Korea’s PSY produced the “Gangnam Style” while North Korea produced Kim Jung Un. So with all the downs and ups of 2012, we are here in a new year. Even if you aren’t one to write up new year’s resolutions, we all hope somewhere deep inside us that the new year will bring great opportunities, unexpected but pleasant surprises, and something that will make us want to say: Yes, this was MY year. All too many times though to all too many people, instead of a great hopefulness and expectation for the new year they are met with the “January Blues”. You see a bunch of blog posts teaching people how to beat the January blues and to just look at the positive side of things. Some advise eating healthy mood foods (Vitamin B everyone! ), to exercise and keep health, plan a vacation, and to plain think positively! 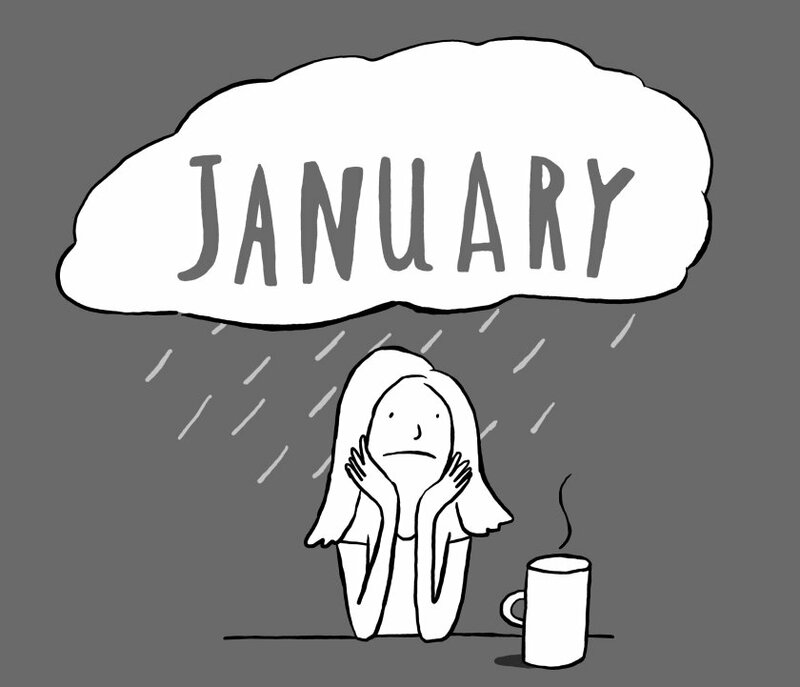 They all sound like great ideas, but in this post, maybe we could consider how we all can beat the January blues in God. Pray. This is what Christians always say! Sometimes, it’s like a default answer when you just don’t know what other answer could suffice. But we all know, it is the best answer. There is nothing more therapeutic and complete than asking almighty God for help. When the Almighty God is on your side, there is nothing to fear. In our most difficult times, to constantly hear that praying is the answer can be frustrating. Praying takes patience and most importantly, it takes faith. Faith. Have you ever realized how difficult it is to really truly believe that everything will be okay? We know it because we hear it, and many times in our lives, we’ve experienced horrible things that we were able to surpass. But no doubt, there are or will be times when to truly believe that God is watching over you is hard to believe. We might question God’s will: God, why would You let me go through something like this? Well, to have faith is not to just have a flighting hope but a deep belief of who God is. And God is a good. He is good, and all that He wills is good. As children of God, we must believe that through and through, there is God’s good will and purpose in everything. Learn. Never lose the opportunity to learn more about yourself. Socrates once said, “Know thyself”. It is a paramount lesson we need to learn in life. Discovering who we are is crucial in understanding our past and moving on to our future. Though we cannot possibly know the answer to all the mysteries of life, whether they are the events of the past or the uncertainty of the future, always find a chance to discover yourself. What for, you ask? To become a better person. Never stop being the best you can be. Goals. Being lost is a fearful thing. There are people who can’t see their future. Other people cannot even see the next day. Questioning your life and not knowing what to do with it is a great suffering. But even if the day is dark, tomorrow even bleaker, and the future something that seems to have no solution, never cease the opportunity to set goals. They can be grand and extravagant or, they can be small and frivolous. Regardless, look for the “next step”. Better yet, try to set a goal for your life not in terms of a certain “path” or “job”. Maybe it can be vague as “what kind of person do I really want to be in life?” The answer to that can be as vague as “a kind person”. But once you’ve set that kind of goal to be a “kind person”, you’ll find that you’ll want to direct your life towards being a kinder person. That is one step closer to your goal. Seek wisdom. There are no words as wise as the Word of God. Seek His wisdom in your prayers, in the Bible, and during sermons. Listen intently and carefully, with an open heart. Let His words come and heal you. Let His words come and raise you. Let His words teach you and open your eyes. And also, seek wisdom through your parents and trustworthy friends. Be humble. We can never be too great, too old, or too wise to have learned enough. Wisdom becomes our tool to live life well. 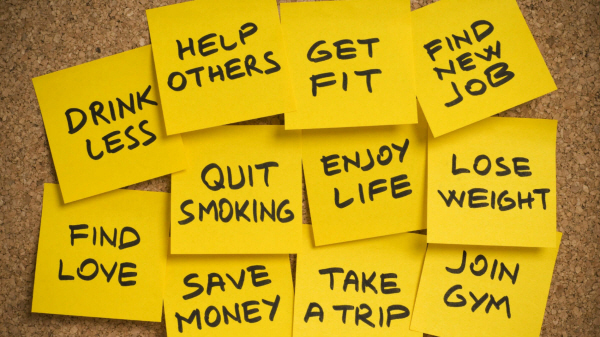 So there, these are just five ways we can think more positively about the new year. Of course there are more than five ways to beat bad moods and grow a fuller faith in Christ. If you’ve got any specialty of your own, share them with us won’t you? We hope you embrace this new beginning with God. Let His words be an armor to shield you. When you charge forward in the name of the Lord, remember, Jesus is there beside you. So have hope, faith, and love.